Too Late to Save Auto Industry as we know it? The White House continues to drag its feet on a bailout for the auto industry in the wake of failed attempts to get help from Congress. The impasse came when the United Auto Workers Union refused to agree to wage cuts. This morning President Bush said he still hasn't decided what to do but his press secretary later said he's considering an orderly bankruptcy. Of course the point of the automakers begging for a bailout was to prevent bankruptcy and the collapse of the industry. 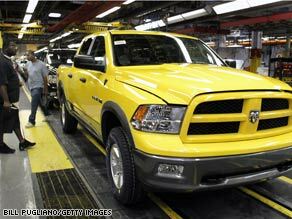 Chrysler announced plans to close down all 30 of its manufacturing plants for one month effective tomorrow. Their finance division says it may have to stop making loans to dealers. Ford had previously announced their own plans to close 10 factories to cut first quarter production in 2009. In the meantime, the Wall Street Journal reports that GM and Chrysler are rethinking the possibility of a merger, although sources tell CNN that is not true. Here’s my question to you: Is it already too late to save the auto industry in its present form? 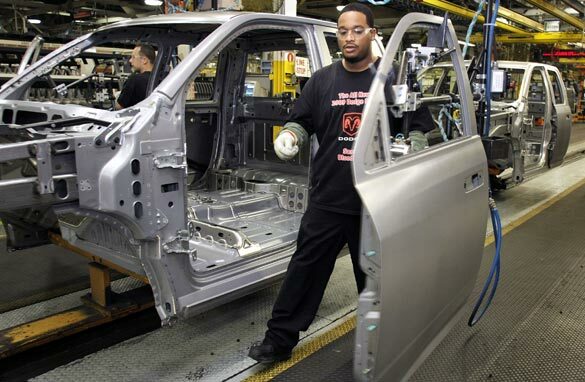 Should the United Auto Workers Union have accepted wage cuts to save the bailout? The fate of the U.S. auto industry is still unknown. The $14-billion bailout bill died in the Senate after a dispute over union wage cuts. 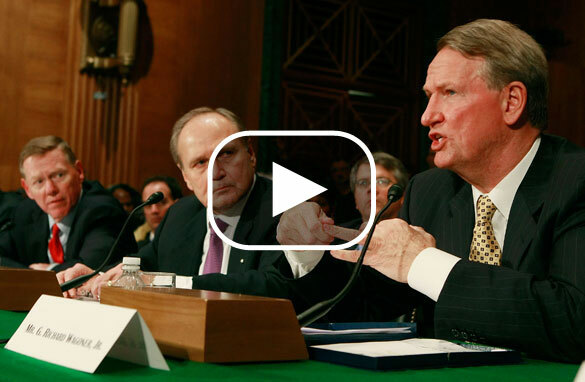 Senate Republicans said the bill wouldn't do enough to put automakers back on their feet. They wanted the Auto Workers Union to accept a lower pay and benefits package similar to what employees make at U.S. factories where Japanese cars are produced. The union balked. In an unusual move, Labor and Industry representatives met with lawmakers at the Capitol last night to try to make it work. But eventually the union walked away unwilling to comply with the demands. The industry still needs cash to avoid collapse. General Motors said today they will cut 250,000 cars from their first quarter production schedule by closing 20 factories. President-elect Obama asked the White House to intervene and the White House Press Secretary said all options are under consideration, including the possibility of dipping into the $700-billion Troubled Assets Recovery Program. So our question is: Should the United Auto Workers Union have accepted wage cuts to save the bailout? Tune in to the Situation Room at 4pm to see if Jack reads your answer on the air. 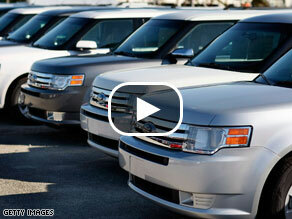 'Car Czar' the answer to Detroit's problems? There's a deal, at least, in principle, for a $14 billion auto industry bailout with strings attached. 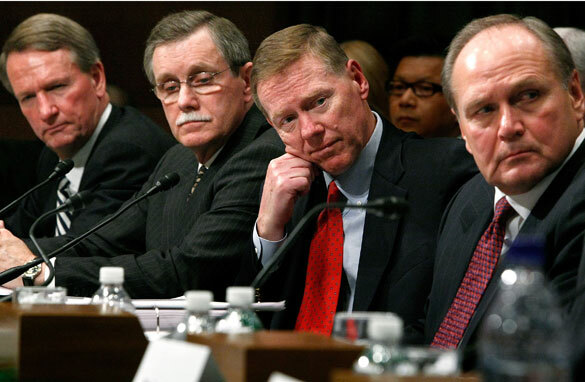 The Big 3 have three months to restructure under the watchful eyes, presumably, of a government "car czar." So that's it… a few billion dollars and government interference and Detroit will be just fine, right? This car czar, to be appointed by the President, will write the guidelines for the $14 billion loans. The appointee will also set the terms for the loans and oversee the restructuring of the auto makers who take the money. There will supposedly be a report to Congress every 15 days. In short, this person will have extraordinary power. The deal is a short-term solution that is supposed to give GM and Chrysler enough cash to avoid filing for bankruptcy, at least until President-elect Barack Obama takes over and can negotiate a long-term solution. Ford apparently has enough cash on hand and won't need a loan, at least not yet. If the government does as good a job with this as it's done with overseeing the $700 billion bailout, well… you get the idea. Some are calling the arrangement "Bankruptcy Light"... saying it avoids the dangers of bankruptcy that scare consumers away from buying products, in this case cars. Here’s my question to you: Is a government "Car Czar" the answer to Detroit's problems? Will loss of automakers lead to a depression? A top executive at Chrysler, Vice Chairman Jim Press, is warning that the failure of just one of the Big Three automakers could drive the U.S. economy into a depression. The CEOs of Chrysler, Ford and GM were back on Capitol Hill today asking for $34 billion in aid, just two weeks after they asked for $25 billion and were shot down. Ford CEO Alan Mulally quoted an estimate from Goldman Sachs during his testimony that said the failures of the three companies could cost the U.S. economy up to $1 trillion. Sure the companies need cash. And sure they directly provide jobs to 355,000 workers. And an additional 4.5 million jobs in related industries. But there are real questions about whether we would be throwing good money after bad. Detroit has failed to keep up with a changing industry for years, despite the handwriting that was clearly put on the wall by Toyota and Honda, among others. American cars come with legacy costs unrivaled anywhere in the industry. Sales figures released this week were terrible. GM down 41 percent, Ford down 31 percent. Congress is grappling with whether the cure is worse than the disease. Here’s my question to you: Will the loss of any one of the Big Three auto companies lead to a depression? Auto Industry: What's the right answer? Auto sales have hit new lows. Since November of last year, GM is down 41%, Ford is down 31%. It's not just the American automakers who are suffering. Toyota sales are down 34% and Honda is down 32%. This news comes as the Big 3 make another plea to Congress tomorrow for a $34 billion dollar bailout. Ford, which is asking for $9 billion, seems to be "getting it." Yesterday, the company said it would sell five of their corporate jets and cut its CEO's salary to $1. Watch: Cafferty: Answer for Big 3? House Speaker Nancy Pelosi says auto industry bankruptcy is not an option, and if the cash doesn't come from a new loan, the industry will get money from the $700 billion dollars already approved to rescue banks. I must have missed the part where they put Nancy Pelosi in charge of all this. A CNN/Opinion Research Poll out today finds a majority of Americans, 61%, oppose a bailout of the auto industry and 70% say it's just not fair to taxpayers. They also don't think it will help the economy. Here’s my question to you: When it comes to the auto industry, what's the right answer? What should automakers do to get aid? Not now....Maybe later. That's pretty much what Congress told the Big Three U.S. automakers yesterday. Executives from Ford, Chrysler and GM appeared on the Hill two days this week all but begging for federal aid. They said they needed a $25 billion bridge loan just to stay in business through the end of the year. Well it turns out Democratic leaders want to know exactly what they're going to do with that cash before they push through any legislation granting it. House Speaker Nancy Pelosi said yesterday "Unless they show us the plan, we cannot show them the money." 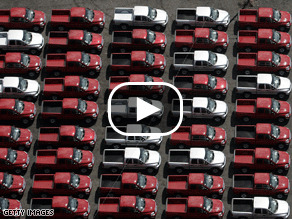 Watch: Cafferty: Automakers get aid? So Congress will return next month to consider this $25 billion bailout if, and only if, the companies come up with a "viable" recovery plan to present to them by December 2nd. It’s interesting that Congress all of a sudden wants detailed plans for the auto industry. Since they forked over $700 billion for the financial institutions, there has been virtually no Congressional oversight on what's been done with that money. Here’s my question to you: What should the automakers agree to do in order to secure government aid? Should the Govt. bail out the auto industry? President-elect Barack Obama rallied the support of the hard-up U.S. auto industry during his campaign and promised a summit with the heads of Ford, GM, Chrysler and the United Auto Workers union soon after he takes office in January. But that meeting might not come soon enough. Last month saw the weakest pace of U.S. auto sales in 25 years. Chrysler's sales were down 35 percent and Ford's sales down 30 percent. General Motors sales plunged 45 percent. GM is expected to release some disheartening financials tomorrow as well. House speaker Nancy Pelosi is meeting with the heads of all three auto makers and the UAW today to discuss the possibility of a second $25 billion loan to the companies. The auto industry hopes that Congress will include that loan and other aid in a new economic stimulus plan. But there's no guarantee when or if that will happen. Detroit's shedding jobs like they're going out of style. Michigan Governor Jennifer Granholm issued a plea today to Democratic leaders of Congress: Help us. Here’s my question to you: Should the federal government come to the aid of the U.S. auto industry?